This article provides an overview of the “All-on-4” dental implant protocol and its benefits over traditional removable dentures. Periodontal or gum disease is a pervasive ailment today, in spite of our advanced medical technology and increased health awareness and standards of hygiene. According to the American Academy of Implant Dentistry, more than 30 million people in the United States have lost all of their original adult teeth in one or both of their jaws. And the most common cause of rampant tooth loss and edentulism (the state of having lost all of one’s teeth) is gum disease. 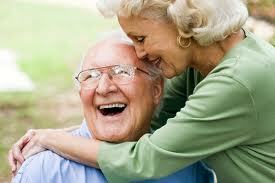 Dental implants and in particular, the “All on 4” protocol. “All on 4 dental implant protocol” may sound complicated and full of medical jargon you don’t think you could understand, but the procedure is actually very simple in concept! A specially-trained implant dentist places four dental implants in the mouth, which are used to support a non-removable prosthetic dental bridge (refer to the picture above). This bridge is fabricated from exceptionally strong, durable and non-corrosive materials so that it can endure many decades of chewing, grinding and biting with little risk of breakage. Furthermore, because the bridge is supported by dental implants, which are in turn anchored by the jaw, it doesn’t need to be big and bulky like removable dentures do. This eliminates many of the challenges patients experience with dentures, such as gagging, sore gums, impeded taste ability and impeded texture and temperature sensation. 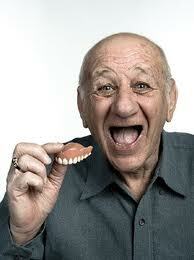 Nowadays, removable dentures are no longer the best option edentulous and near-edentulous patients have. You no longer need to follow in the footsteps of mom and dad as far as getting new teeth is concerned. If you have lost most or all of your teeth to the ravages of periodontal diseases, your smile quite literally has a second chance. All on 4 dental implants in Houston can provide fixed and non-removable tooth replacement solutions that enable patients to eat all the foods they like while enjoying the many benefits of having a natural-looking and confident smile. Because All on 4 dental implants are non-removable, they are cleaned and maintained like natural teeth and don’t require any of the repeat expenses that dentures do, such as messy, sticky adhesives, overnight soaking solutions and special cleaning pastes. The “All on 4” dental bridge is also custom fabricated to fit snugly against a patient’s gums, which prevents it from harboring food debris and bacteria: a common problem with dentures that leads to chronic bad breath. With typically only a single surgery of a few hours only, you can go from toothless to having a mouth full of fixed, non-removable and gorgeous-looking pearly whites. This may sound very much like the stuff of dreams, but it is a reality thanks to the incredible advancements that have been made in the fields of fixed oral rehabilitation and dental implantology!